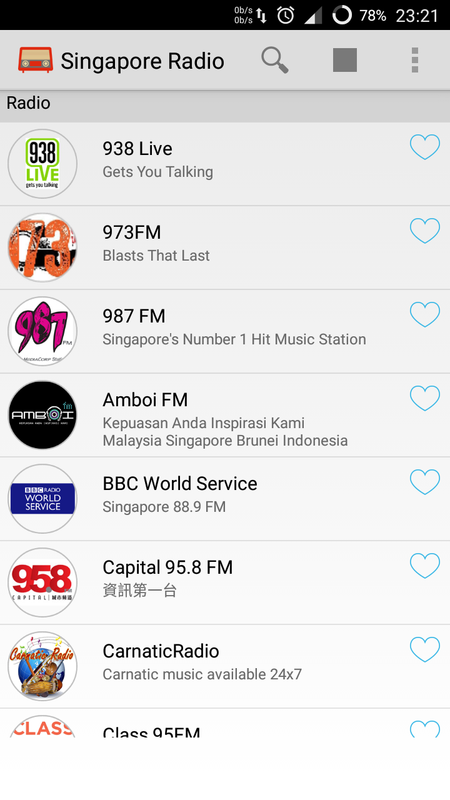 No matter where you are, your favorite singapore radio stations are waiting to be heard. Singapore Radio is for anyone who's interested in listening to radio stations from Singapore or from all over the world. Get it now! We collected best Singapore radio stations for you. No complicated operations! Just scroll up and down to find your station and simple click it. We provide an option for you to add radio stations. Various format (m3u8, m3u, pls, mp3, flv) are supported. 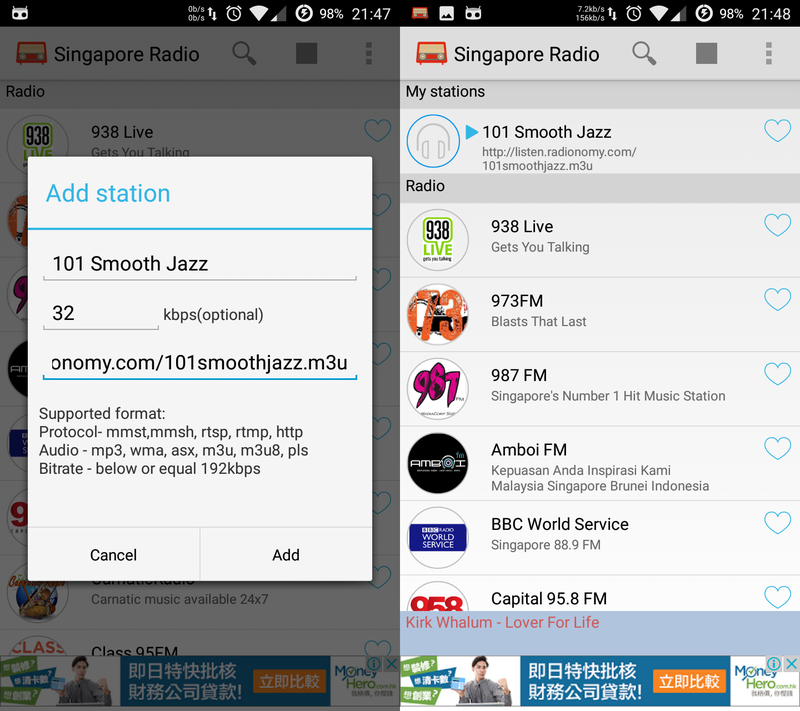 Singapore Radio allows you to add your own favorite stations. In this post, we will show you how to get the streaming url from the internet. To add radio to the app, you need to know the streaming source of your radio first. How to get the streaming link is a bit tricky. Ususally the link is not shown to users. In some radio station web sites, they provide an icon for users to click and listen to radio. 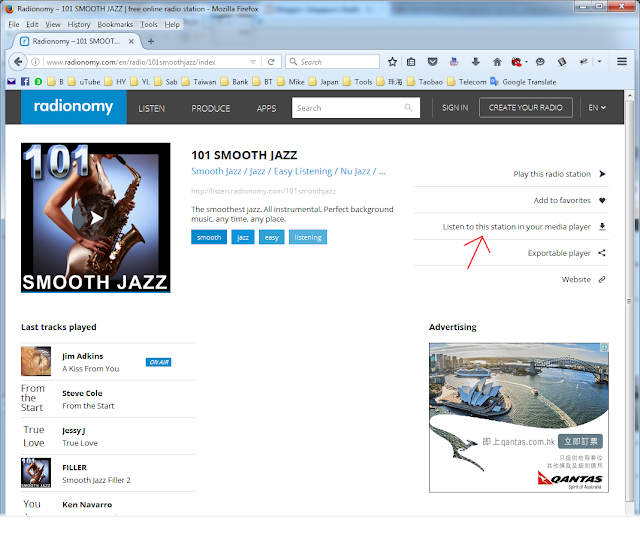 Once you click the icon, it opens an audio player and stream the live broadcast of the radio station to you. You have do hack the html source to get the streaming source. We are not going to cover it in the post. There are some good live streaming websites that let you get radio streaming link easily. Among them, Radionomy is one of the famous hosting site of radio streaming. You can find many interesting radio stations from Radionomy. We will use Radionomy as example to get the radio source. There are many streaming media available, you can find a brief infom wiki https://en.m.wikipedia.org/wiki/Streaming_media. In Radionomy, radio sources are provided in m3u format. We are going to show you how to get radio that dedicated to Jazz music. Go to Radionomy and enter "Jazz" in search box. It should get you a list of Jazz stations. Most of the mobile phone browser will use mobile version. To get the desktop version, you need to change it in "User agent" setting to Desktop. 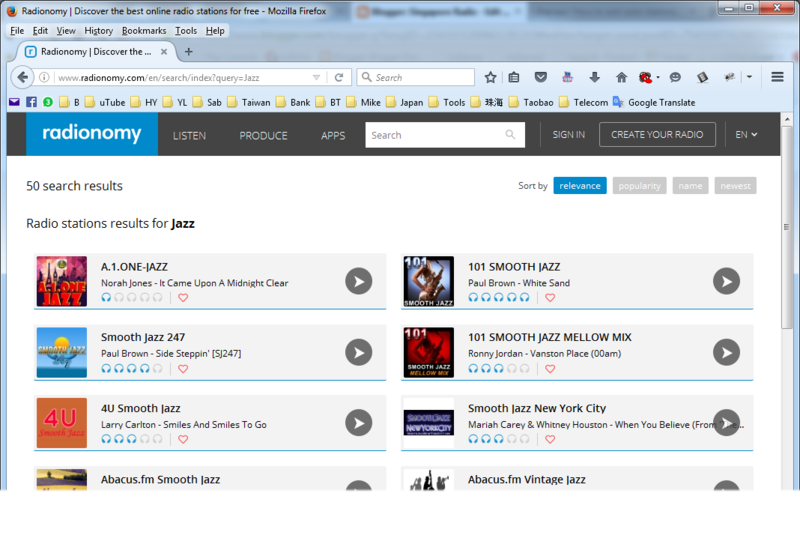 Select, for example, 101 Smooth Jazz station, the following page will be shown. see the streaming source with extension m3u. 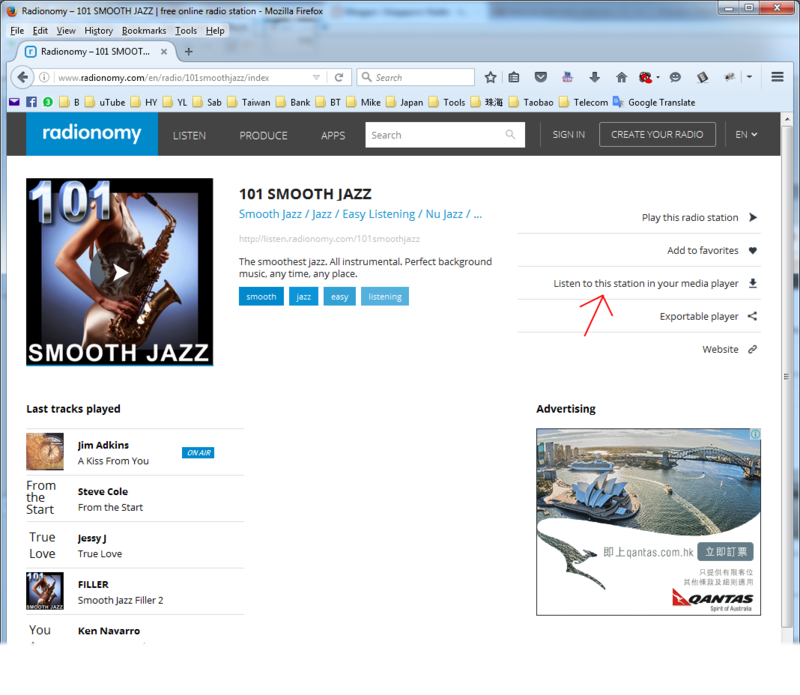 In our example, streaming link of 101 Smooth Jazz is http://listen.radionomy.com/101smoothjazz.m3u. 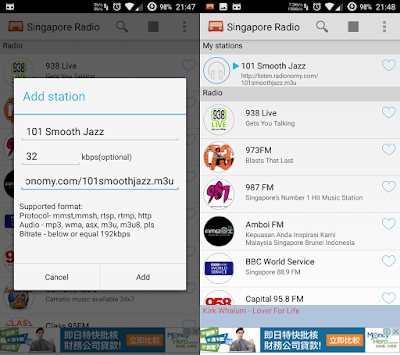 Open Singapore Radio app and choose "Add station". Enter the name and the streaming source and enjoy the radio. You can long-press the link and copy the link location to get the link.